24 January 2019, LOS ANGELES—Cinema Audio Society President Mark Ulano, CAS announced today that this year’s CAS Awards will include a President’s Award Honoree. The President’s Award is presented at the discretion of the President to an individual who has been dedicated to the advancement of Sound and will be presented to Foley Mixer, MaryJo Lang at the 55th CAS Awards on Saturday, February 16, 2019, at the Intercontinental Los Angeles Downtown – Wilshire Ballroom, Los Angeles, California. “In the world of Foley mixing, MaryJo Lang has been a force of nature. Her understanding of how to tell stories with sound has made her a filmmaker of iconic stature. Having worked on almost 300 projects in her extensive career and becoming the premier go-to person in Foley for her creative powers, Mary Jo Lang’s career represents a pinnacle achievement in the sound arts”, said Ulano. 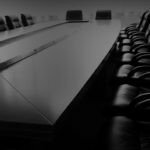 “Long ago, she broke down artificial barriers in a traditionally male-dominated field with her spectacular ‘musicianship’”. MaryJo Lang, now retired, was a Foley mixer at Warner Bros. Studios for over 25 years. She started in 1984, apprenticing in Production Sound with Mark Ulano and Patrushkha Mierzwa on “Friday the 13th Part 5”. That led to an internship at Taj Soundworks, a well-known Foley stage in Los Angeles where she began mixing in 1991. She moved to Warner Bros. Studios in 1992 with foley artist, John Roesch. She has worked on several motion pictures that have won the Oscar for Best Sound Mixing and/or Best Sound Editing, including “Braveheart”, ”The Matrix”, ”The Dark Knight”, “Inception” and “The Ghost and the Darkness”, as well as several that have been nominated, “Interstellar”, “The Girl with the Dragon Tattoo” and “The Social Network”. She was the first choice for mixing by top Supervising Sound Editors Ren Klyce, Charles L. Campbell, and Dane Davis. Lang served on the Executive Committee for the Sound Branch of the Academy of Motion Picture Arts and Sciences for two terms and, during her career has spoken at seminars in Stuttgart, Germany and at USC on the art of Foley. She finished her career at Warner Bros. working on “The Meg” with her favorite foley artists, Alyson Moore, and Chris Moriana. Her last project was in Finland, working with Heikki Kossi, the top Foley artist in Scandinavia, on the documentary, “The Distant Barking of Dogs”, which has been shortlisted for an Academy nomination. She has won three CAS awards for Foley mixing on “Frozen”, “Big Hero Six”, and “Inside Out”. Lang has been enjoying retirement immensely by being able to satisfy her love of travel. She had already been to over 50 countries while she was working and, since retiring, she has been to China, Mongolia, Russia, Cuba, Thailand and Laos – and that’s just in the first year! She loves to see new places, try new food and share it all with her friends back home, who follow her on Facebook and her email diary. Lang will join previously announced honorees: CAS Career Achievement Award recipient production sound mixer Lee Orloff, CAS and, CAS Filmmaker Award recipient Steven Spielberg at the 55th Annual CAS Awards. 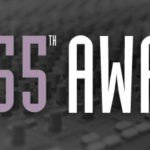 The 54th CAS Awards will honor Outstanding Achievements in Sound Mixing in seven categories: Motion Pictures, Animated Motion Pictures, Documentary Motion Pictures, Television Movie or Limited Series, Television Series-One Hour, Television Series-Half Hour and Television-Non-Fiction, Variety, Music Series or Specials. The CAS Student Recognition Award will also be presented at these Awards. The CAS Filmmaker Honoree will be announced later in the year. The objectives of the CAS are: to educate and inform the general public and the motion picture & television industry that effective sound is achieved by a creative, artistic and technical blending of diverse sound elements; to provide the motion picture & the television industry with a progressive society of master craftsmen specialized in the art of creative cinematic sound recording; to advance the specialized field of cinematic sound recording by exchange of ideas, methods, and information; to advance the art of auditory appreciation, and to philanthropically support those causes dedicated to the sense of hearing; to institute and maintain high standards of conduct and craftsmanship among our members; to aid the motion picture & television industry in the selection and training of qualified personnel in the unique field of cinematic sound recording and to achieve for our members deserved recognition as major contributors to the field of motion picture & television entertainment.